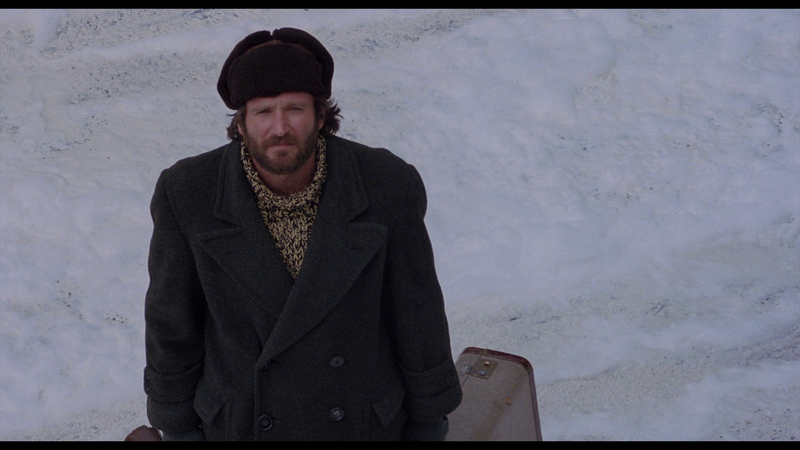 Robin Williams gives an effective, understated performance as a Russian defector to the United States in Paul Mazursky's Moscow on the Hudson, which was released in 1984. Lightly comedic without overplaying the fish-out-of-water pratfalls, the film feels like an authentic portrait of the protagonist's first months in a strange country. Williams' Vladimir Ivanov works at a McDonald's and as a hot dog vendor and a limousine driver. 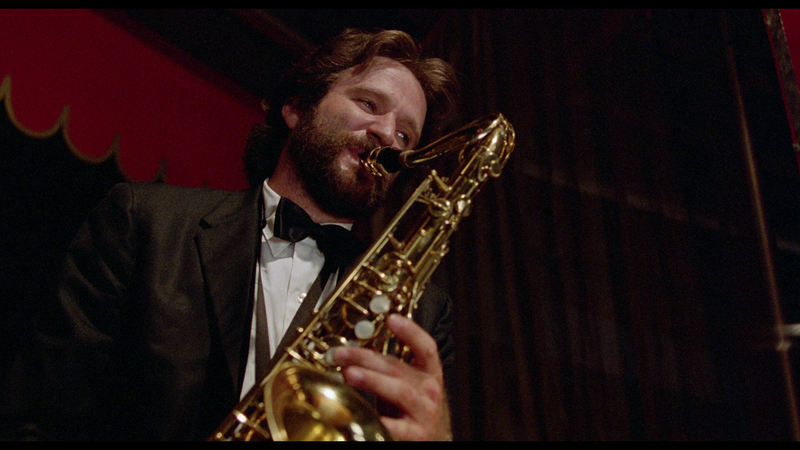 He begins dating an Italian store clerk, Lucia Lombardo (Maria Conchita Alonso), and crashes with a kind black family in a crowded apartment not unlike his own back in Moscow. Moscow on the Hudson hits a few dry patches around its midpoint, but is largely an enjoyable drama with excellent work from Williams and the supporting cast. Ivanov is a saxophonist in the Moscow circus and lives in tight quarters with his extended family. He stands in line to buy shoes and food, and joins his friend Anatoly (Elya Baskin) at a mobile, black-market gas station to fill up his jalopy. The circus plans a trip to New York City, and Anatoly confides in Ivanov that he plans to defect. Ivanov tries to talk him out of it, and the pair soon lands in Manhattan. The tables turn when Anatoly chickens out, and Ivanov, surrounded by a mass of humanity, decides to defect. 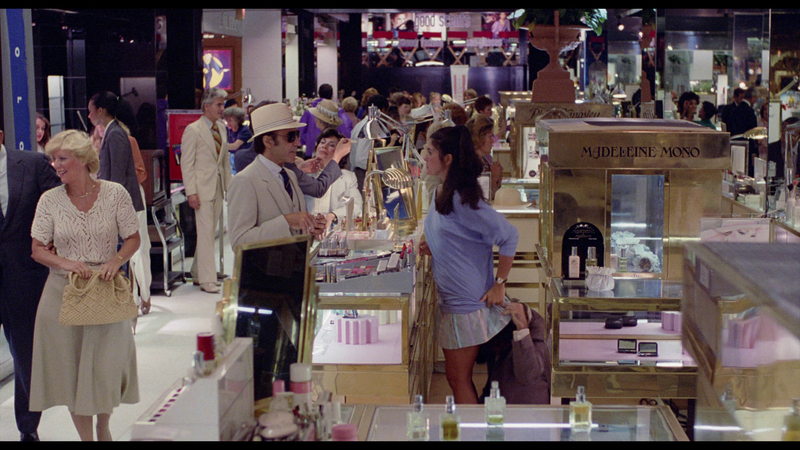 This causes a minor ruckus inside Bloomingdale's, and his defection is covered by a television news crew. Ivanov is left alone with only his clothes, a new pair of designer jeans, and a couple of dollars. A kind security guard, Lionel Witherspoon (Cleavant Derricks), invites Ivanov to live with him, and soon the defector is assimilating into American society. 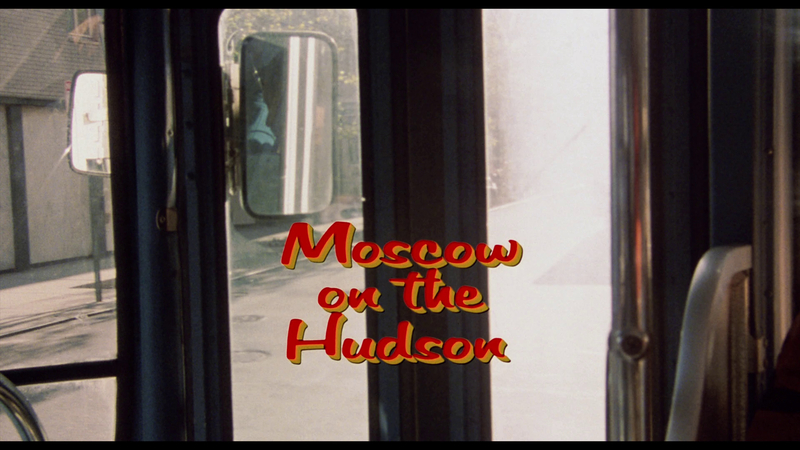 Mazursky, a Brooklyn-born director who often used the five boroughs as the settings for his films, eschews the notion to make Moscow on the Hudson a situational comedy. 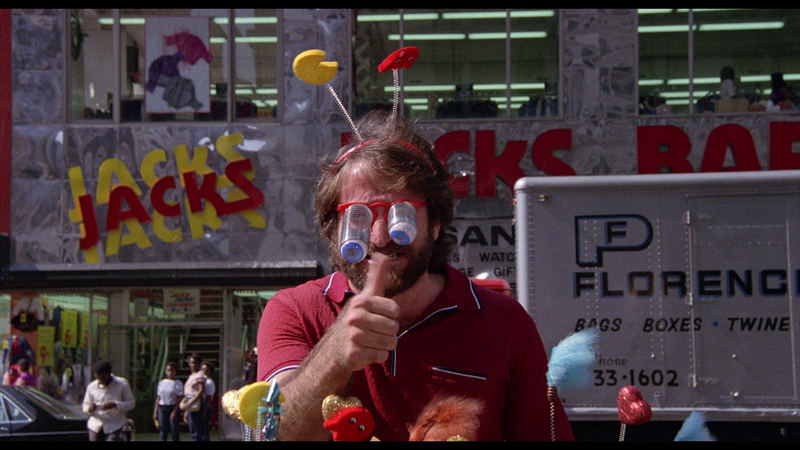 The film is funny, of course, thanks to its lead actor, but it plays like a travelogue or daily journal of a man finding his way in New York City. Ivanov soon realizes that America is not the rosy, idealistic land of fairytales and that, like Moscow, there is plenty of poverty, violence and prejudice to be found. He also realizes that the diversity around him is something special. He drives a cowboy from Texas and works with an immigrant immigration attorney. He serves locals fries in the city, and hawks hot dogs to strangers. 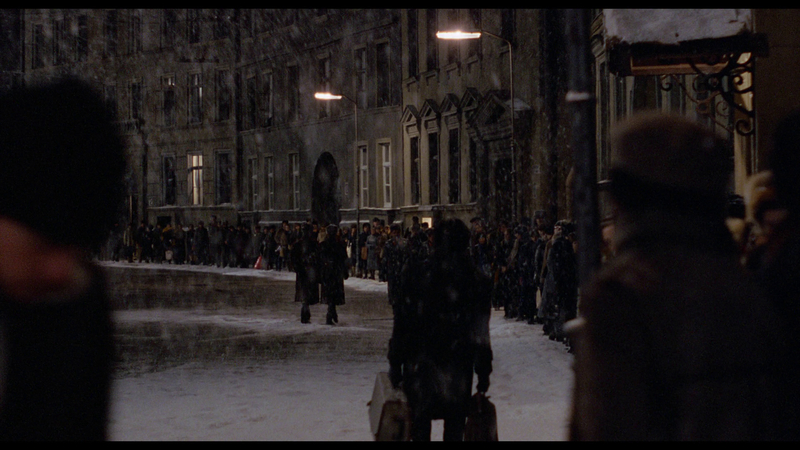 Ivanov takes in the world around him, and slowly becomes a part of that world. 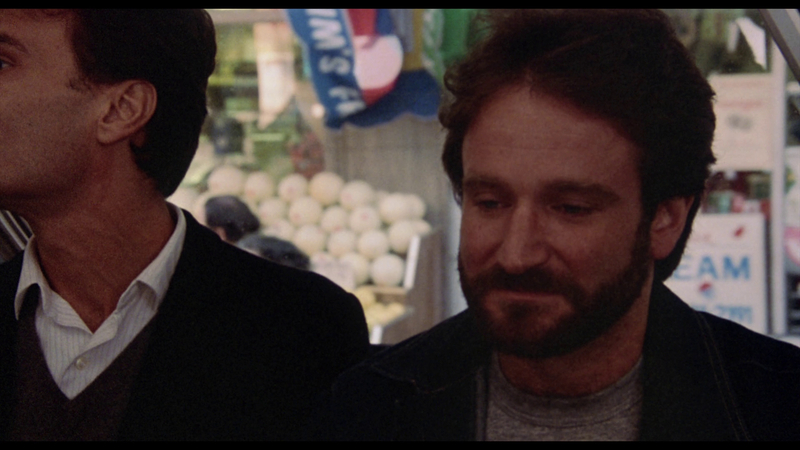 Williams' performance is particularly effective here, as he plays his comedy subtly and tones down some of his usual on-screen behaviors. Ivanov quickly learns English, and the film wastes little time having its lead bumble through language-barrier confrontations. The early scenes in Russia are more somber, but the scenes in America are more entertaining. Moscow on the Hudson is not meant to be a stark condemnation of oppressive societies or a cautionary tale about the price of freedom. Instead, it unspools as an authentic, believable domestic adventure for one ordinary man. 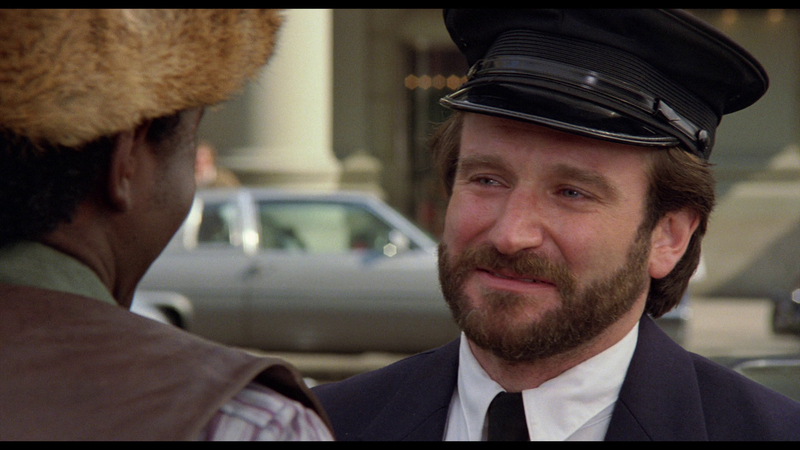 Seeing Williams give such a nuanced performance recalls his immense talents, and, while Moscow on the Hudson is not his best film, it is certainly a pleasing entry on his resume. Twilight Time again delivers an impressive transfer for a catalogue title. This 1.85:1/1080p/AVC-encoded transfer is sharp and life-like, with a natural layer of grain and boldly saturated colors. Skin tones are natural, and fine-object detail is impressive. The print is clean and without dirt and debris, and black levels are good, with only minor black crush. 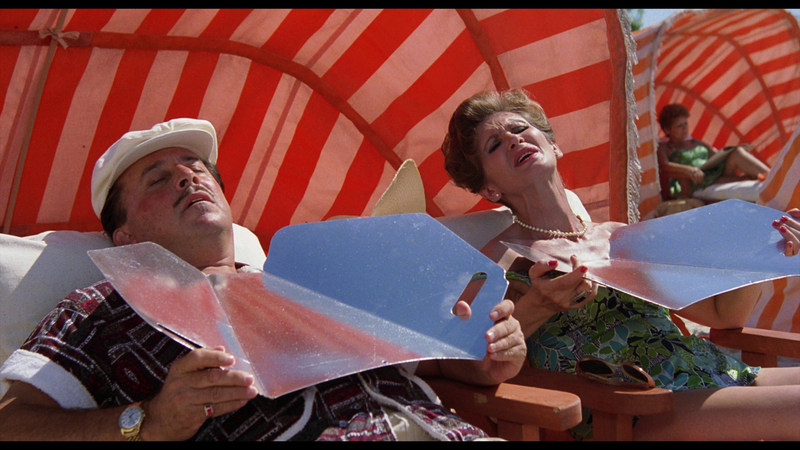 The image is quite impressive for a 32-year-old film. The disc includes both a 5.1 DTS-HD Master Audio surround mix and a 2.0 DTS-HD Master Audio stereo mix to replicate the theatrical presentation. While the 5.1 mix has more surround action, both are clear and without distortion. Dialogue is presented clearly and layered appropriately with ambient effects and David McHugh's score. The musical selections are robust and ambient city noise surrounds the viewer. English SDH subtitles are included. This single-disc release is part of Twilight Time's "Limited Edition Series," and only 3,000 units were produced. The disc is packed in a clear Blu-ray case with dual-sided artwork. A multi-page insert includes liner notes and photos. Extras include an Isolated Score Track, in 2.0 DTS-HD Master Audio; a Commentary with Film Historians Julie Kirgo and Nick Redman; and a Commentary with Director Paul Mazursky. 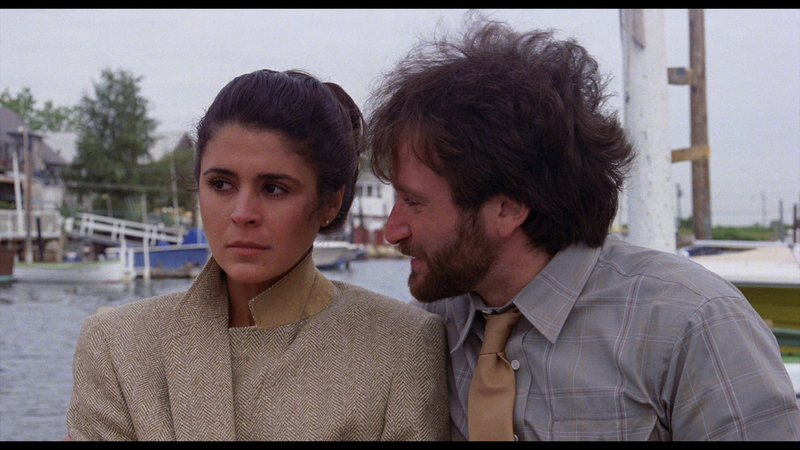 Though it is not Robin Williams' best or most well-known film, Moscow on the Hudson is an entertaining drama anchored by a solid performance from the late actor. 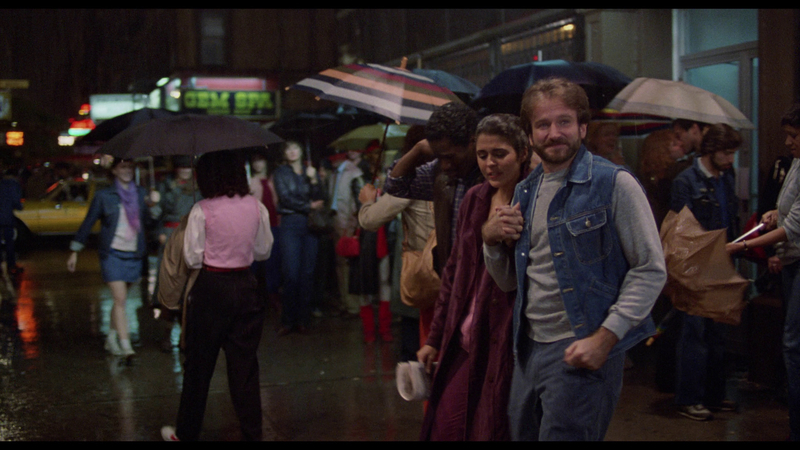 In director Paul Mazursky's film, Williams plays a Russian defector living in New York City. The film wisely avoids crude situational pratfalls and becomes an authentic portrait of life in a new country. Highly Recommended.